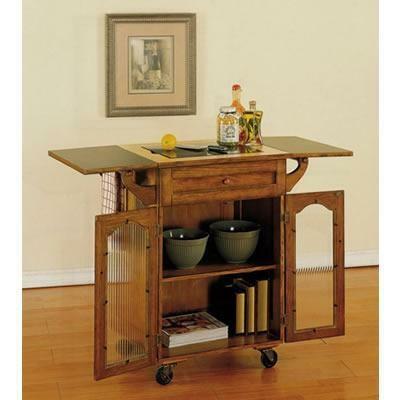 Save time and space with this Noble Oak Kitchen Cart. 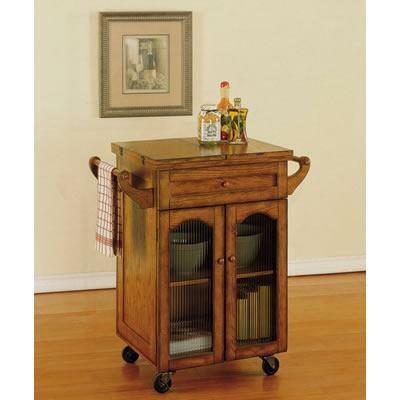 Flip top provides extra preparation or serving space. 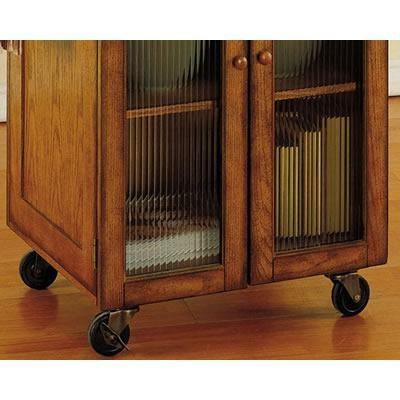 Lower cabinet with 2 framed ribbed glass doors provides plenty of storage space for larger items with adjustable shelf behind. Organize utensils in the drawer with lift out silver tray. Kitchen towels hang neatly on the towel bar. Industrial quality casters for easy mobility. Finished in rich noble oak. Some assembly required.